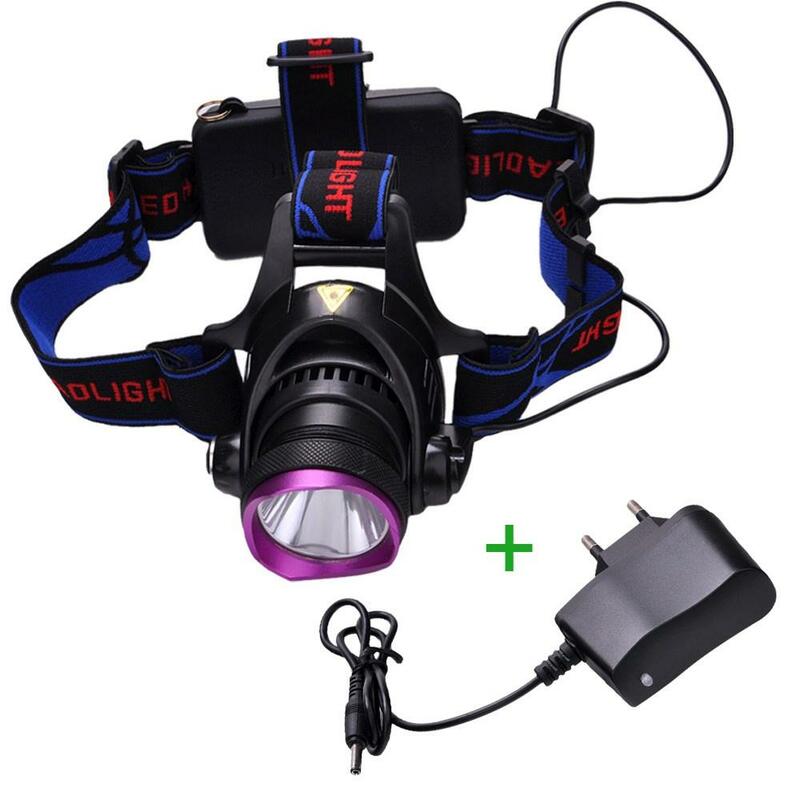 I was just looking at a product my friend was bragging about, a headlamp with 2000 lumen intensity. When and why would I be needing such a powerful headlamp? I usually trek in jungles and forests and so seldom like (from now on I plan to) once in an year in Himalayas. A flashlight with 2000 lm capacity is what I can understand as a product, but a headlamp? Other answers have addressed the "why", but let's talk about the "what's real" regarding lumens. Before we get into calculation the actual output of this light (which is definitely nowhere near 2000 lumens), we need to understand what lumens are. Lumens is the SI unit for luminous flux, which is essentially the total amount of light in the visible spectrum emitted by a source in all directions. Lumens does not depend on distance from the light source, because it must be measured in all directions. A related unit, lux, measures light at a point, and is dependent on distance. 1 lux = 1 lm/m2. If you were to measure the lux at every point on an imaginary sphere around a light source, add them up, and multiply by the surface area of that sphere, you would get the total lumens output of the device. 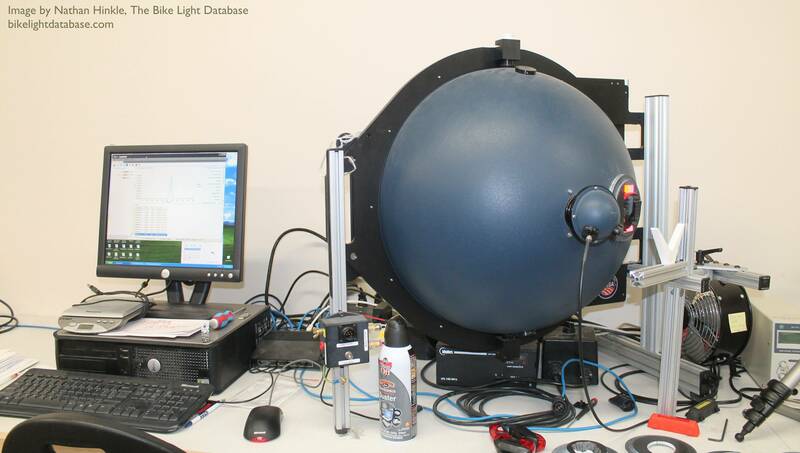 No matter what the diameter of the sphere, you would get the same number of lumens. As you increase the diameter, the lux measured at each point decreases, but the surface area and number of points you must measure at increase. The ANSI FL1 Standard specifies measurement procedures and reporting criteria for measuring the output (lumens), beam distance (calculated from lux), battery life, and other properties of flashlights, headlamps, bike lights, and other personal lighting equipment. This provides a repeatable, verifiable, and trustworthy way for lighting manufacturers to report device specifications. Most reputable personal lighting manufacturers follow this standard, but random generic manufacturers - like those selling the light mentioned in the question - do not. These generic sellers tend to drastically overstate and even outright lie about specifications, claiming insanely high lumen values with no data to back them up. So, now let's prove why this light doesn't put out 2000 lumens. It appears this light uses two 18650 batteries. The Panasonic NCR18650 PDF is one of the most common 18650 lithium battery cells, and is the cell used inside of many repackaged batteries sold by flashlight companies and inside many devices with integrated batteries. Its rated capacity is 2700 mAh and the nominal voltage is 3.6 V. For two batteries, that gives 9.7 Watt-hours. Let's look at the Cree XM-L T6 emitter, the LED specified for the product you mentioned. Cree's Data Sheet PDF gives luminous flux (lumens) data for up to 2000 mA current draw. The maximum forward current for this LED is 3000 mA. At 3000 mA the forward bias is 3.35 V, so the light would draw just about 10 W. With the batteries mentioned above, the light would last just under 1 hour, if we ignore the power consumed by the control electronics and any efficiency losses. At 3000 mA current, the maximum current for this emitter, the extrapolated luminous flux is 1000 lumens. To achieve 2000 lumens, the LED would require over 6000 mA, more than twice the maximum for this emitter. 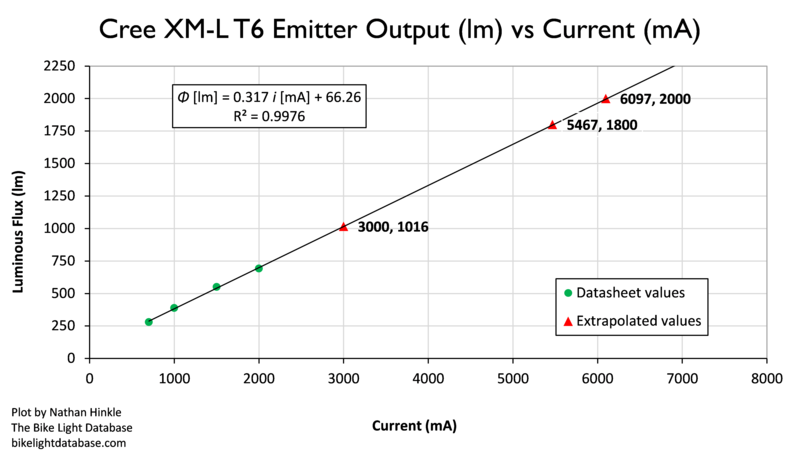 Keep in mind that the lumen values here are calculated estimates based on the emitter's specifications. They don't take into account losses due to reflector design and lens material. LEDs also drop in output when they get hot, and most cheap lights have poor temperature management. I run a bike light testing and review site called The Bike Light Database, and I've tested similar generic headlights like this one. I measured a nearly identical light with a Cree XM-L T6 emitter and the actual output was 600 lumens, half of its claimed 1200 lumens and less than a third of this headlamp's claimed 2000. So, to answer your question rather long-windedly, why a 2000 lumen headlamp? Well, it's simply not a 2000 lumen headlamp. Lumens are used to compare the total amount of light output from a light emitter. However, lumens isn't the end-all, be-all. In fact, lumens will only tell you a one part of the picture because when it comes to producing a great beam pattern, it doesn't give you enough information to tell you how the light output is used. Lumens are to light what Litres are to liquid, they measure the amount of light in a beam. Imagine if you had 2L of paint (2000mL) that's enough to paint a decent sized wall, but how you apply that paint to the wall makes a big difference. You could just throw it against the wall, and make an ugly splash, or you could use some tools to make a smaller amount of paint go a lot further and do a much better job of applying it to the wall. Bottom line is, when it comes to marketing, bigger numbers mean more sales, so some companies will bump up the numbers that make a sale, but skimp on the qualities that make a good beam pattern. In short, you could buy a headlamp with fewer lumens that gives you much better light. To answer your question, high powered headlamps are for high-speed activities like skiing or Mountain biking in the dark. Petzl sells another headlamp that's 760Lm which is specifically for skiing and biking and can cast a beam up to 170m. One other reason you might get a more powerful headlamp is if you're like me and you like to carry a GoPro everywhere and film your activities. Cameras need a lot of light to film in the dark. One of the reasons I bought a big expensive spelunking headlamp–the Petzl Ultra Vario–is so I could film cave trips like this one I took a company of venturer scouts on last summer: Gargantua, Cave Spelunking (YouTube). First of all I doubt that you get a quality product for under 20 bucks which says it is going to be 2000 Lm. There are concerns that it won't be so bright as it states (read the advertising: "Output bright can come to max 1800-2000 lumens. "), battery life will be very poor, the item isn't very robust or all three points are valid. Especially the robustness is a feature I personally don't like to miss on mountaineering gear, particularly on emergency items. If it comes to an case of emergency you have to trust your gear and don't want to think about the reliability. Nonetheless if you just want to know where you need bright headlamps: this is typically the case if you are going to move fast. So you won't need such light intensity for hiking/mountaineering to be honest, you will be able to move safely with less light. But if you are e.g. going to trailrun, ski tour or mountainbike in difficult terrain at night, such powerful headlamps are very useful. The faster you move, the more range your lamp should have to give you enough reaction time. There are headlamps on the market which are brighter than car spotlights so think of similar activities. Another area of application would be spelunking where you need to illuminate big rooms of pure darkness. Also hunters and fishers might be looking for those kind of lamps. As Wills touched upon in his answer, it's quite useful for sports at night (mountainbiking, skiing, orienteering, etc). But not only does it it allow you to move more safely during the night; it also provides you with a competitive advantage. Having more light available to you compared to your opponents will be advantageous to you. While mountainbiking and skiing generally follows a fixed trail, you are generally1 completely free to choose your own way when you run orienteering during the night. As the route could be set in an forest completely void of tracks or paths, you could easily be forced to navigate using less distinct terrain features. Hence, having a headlamp that is better than your competitors might allow you to see details they won't. This in turn might allow you to take a shorter but more orienteering-intense route, because you're sure you'll be able to see even the tiniest of rocks (helping you navigate), thus saving you time on the route. And as athletes always strive to get a competitive edge, modern headlamps used in night orienteering are no longer around 2000 lumen, but rather 3000 - 4000 lumen. Of course, you also need to combine this with a decent beam angle to be able to see as much as possible without moving your head too much. Taking private property, restricted areas, etc into consideration. Not the answer you're looking for? Browse other questions tagged gear headlamps or ask your own question. What does lumen and lux for flashlights/torches actually mean? How many lumens for a diving torch? What equipment do I need as a beginner outdoor rock climber? Why are there ropes on fingerboards? Why some sleeping bags have four temperature ratings while others have only one? My head torch/lamp has a red mode, why? How does one choose the right standup paddle board size? How do you tie your shoes one handed? Why do some archers wear two gloves? What should one look for in a bivy sack?